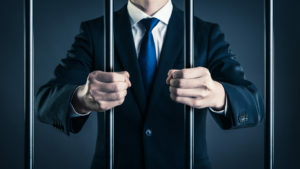 The recent conclusion of a case involving an Atlanta law firm and its managing partner provides a painful but poignant example of the extent to which trust can be violated. Morris Hardwick Schneider, an Atlanta based firm that once employed 800 people in more than a dozen states, was the product of a 2005 merger of Jackson & Hardwick and Morris & Schneider. The firm, which also had an affiliate — LandCastle Title — grew to be one of the nation’s largest real estate closing firms. Based on all outside appearances the firm seemed destined for great success. Reportedly, Nathan Hardwick had visions of offices in every state in the US, and ultimately “cashing out” through a public offering. But what appeared so successful and held such promise ended in an ugly fashion for everyone involved.And it happened quickly. A closing note, there were signs of trouble dating as far back as 2008 when the firm began receiving calls from bankers and other creditors regarding the firm’s managing partner, Nathan Hardwick. Interestingly, one of Hardwick’s partners was concerned enough about his partner’s financial position that he decided to personally loaned him $750,000. In retrospect, one imagines that the need for this kind of loan might precipitate concern and prompt an inquiry into the firm’s management. A quality set of internal controls will significantly decrease the odds of your firm facing its own Nathan Hardwick-like moment. Certainly, the “Thief Among Us” doesn’t ‘have to be the managing partner. It can easily be any individual that has the authority to approve or effectuate payments. Every well-run firm should have its own review of internal controls; but the following should be considered fundamental to any law firm. As a small law firm grows, both in terms of number of individuals employed and revenue generated, there is an ever-increasing demand on the time of the owner(s). The resulting tendency is to delegate activities related to receiving and accounting for funds, as well the approval, payment and accounting for payments related to obligations of the firm. As the volume of work delegated grows, separate individuals should have responsibility for authorizing payment, making payments and accounting for payments. Additionally, different persons should have responsibility for opening mail, depositing payments and accounting for their receipt. One approach to decreasing exposure is to apply limitations to authority. For example, many firms require two signatures for payments that exceed a certain threshold, such as $1,000. This is not about trapping a dishonest employee; it is about installing smart checks and balances around judgements and decisions that can be pivotal in nature. A firm owner should receive the firm’s bank statements, and review them on a monthly basis. The owner opening and reviewing the bank statement should be someone that doesn’t sign checks. The simple fact that the statements are being reviewed will prompt a more deliberate and considered decision-making process. For firms with two or more owners, it is smart to separate responsibilities, having one owner authorize payments (coupled with a requirement for two signatures), and another review the bank statement. An annual budget reflecting anticipated expenditures and receipts is a tool that helps to minimize exposure. A monthly review of actual to expected performance will identify unplanned and perhaps inappropriate transactions. A practice of forcing a continuity break by mandating vacations away from the office (and away from access to the firm’s financial systems) has a significant impact by decreasing temptation and exposing inappropriate activity. A system of rotating responsibilities associated with cash related functions has a similar impact. Contracting with an independent accounting firm for an audit of the firm’s books is a very healthy practice. Much like other aspects of an effective internal control system, employee knowledge of the fact that periodic audits occur will decrease the likelihood of a problem. Implementation of any of the above will result in a more secure operation; but a professional review of your firm’s financial processes and controls is important and we highly recommend it. Though shared aspirations and trust characterize the early days of virtually every partnership one should be aware that the case of Nathan Hardwick is far from an isolated incident. Fraud within a law firm is a surprisingly frequent occurrence. If you’re interested in additional recent cases, see here, here, here, here, here, here, here, here, here and here. Implementing internal controls is inconvenient. Adhering to good internal controls can be annoying and disruptive, especially when there are more interesting aspects of a practice and a career to focus on. But prudent law firms and their partners accept the interruption or inconvenience as a small price for the protection they may bring—much like a seat-belt! How are your internal controls?